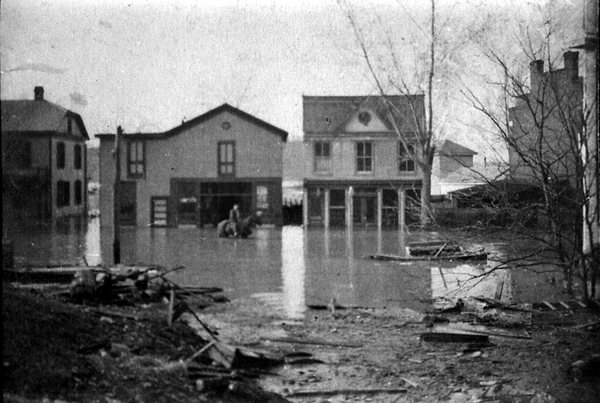 (2) Charles Moon's Mercantile - He sold 'fancy groceries' in this store that sat right over Mink Creek. (3) Dr. J.P. Blair's Dental Office - Dr. Blair's office was upstairs, and Charlie Robinson's Barber Shop occupied the first floor of this building. Mink Creek ran right between the Moon and Blair buildings. 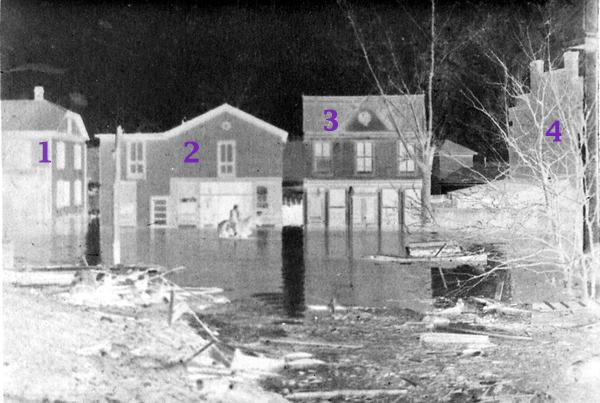 When floods came, both buildings' first floors filled with muddy water. (4) The Brady Building - Located at the corner of Main and Valley Streets, it served as the first public school in Scottsville from 1892-1908. The Brady Building was later torn down.